The roster update for NBA 2K14 as the season heads into playoffs has already gone live on all platforms. This update returns some players from injured reserve, readjusts the team lineups and adds a few players. 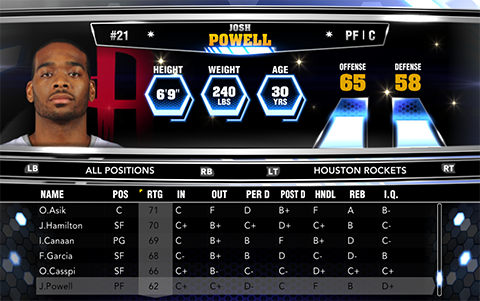 Free agent power forward Josh Powell has been added to the Houston Rockets roster. The Houston Rockets have waived center Dexter Pittman. The New York Knicks signed free-agent forward Lamar Odom for the rest of 2013-14 season. Players who are out for the season due to injury will not return to active status until the final roster update for NBA 2K14. The update should download automatically as long as your PC or console is connected to the Internet. PC users can install the roster manually. Just use the download link below and follow the instructions provided in the patch.